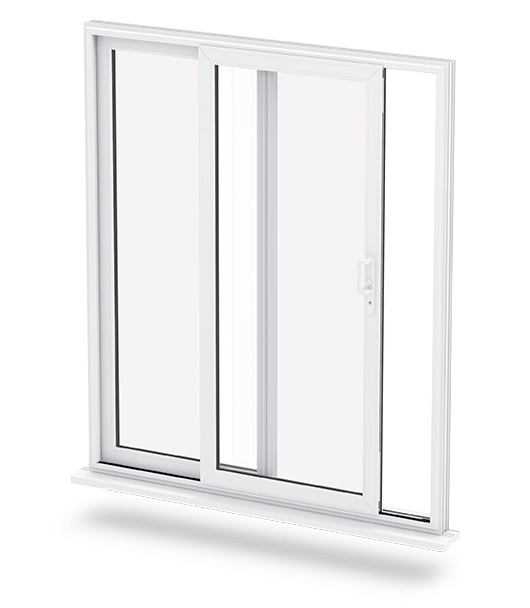 Posts tagged "uPVC patio door"
Here at Affordable Windows and Construction, we pride ourselves on offering the very best home improvements to our customers. Our uPVC patio doors in Buckingham truly excel, and are manufactured using the very latest technology and design features in the industry. 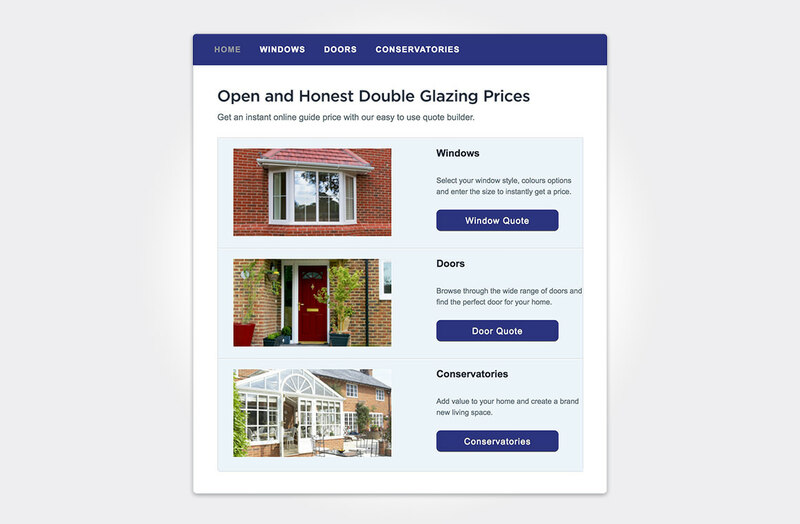 You can benefit from so much when you choose these stunning double glazed doors for your home improvements, and all at a superbly cost effective price. uPVC patio doors in Buckingham are the ideal home improvements. Read our guide to find out more about these spectacular sliding doors. Our uPVC patio doors have the most innovative design. They still offer the same traditional beauty that you would expect from patio doors, with vast panes of glass, but they have been brought into the 21st century with exceptional technology. The opening system of our sliding doors uses the state of the art Air Glide System. This intelligent design ensures smooth long term operation, so that opening your new door and accessing the outdoors is effortless. 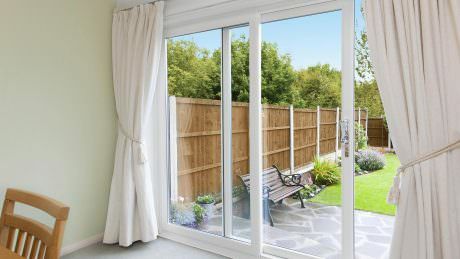 In addition to this, we understand the importance of accessibility, so with our uPVC patio doors, you have a range of low thresholds to choose from, including our sturdy, ultra low thresholds that are fantastic for regular wheelchair access. Our uPVC patio doors in Buckingham are also great for families, with a clever finger trap free design, keeping little, inquisitive fingers safe. 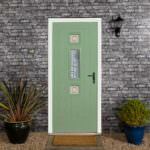 Our uPVC patio doors in Buckingham are superb for home protection. They have additional locking points at both the head and the sill, including steel shootbolts. The locking systems themselves are from Yale, ensuring world class security. All of this is enhanced by the reinforced profile design and tough double glazing to ensure, that unlike older patio doors, are new modern versions offer the very highest security for your home. You can be confident that with our uPVC patio doors in Buckingham, your home and family are thoroughly safe and secure. Keeping heat within your home is a priority with rising energy costs, and our uPVC windows and doors are a superb choice for just this requirement. They have a multi-chambered profile which traps air within the frame and creates a thermal barrier. This innovative feature is central to the Liniar design and will make sure that heat loss is minimised and cold air can’t penetrate your home. With our uPVC patio doors, your Buckingham home will be warmer for longer, so that you will find you use less heating. A superb benefit not only for your energy bills, but it will also help lower your carbon footprint. One of the beautiful aspects of uPVC patio doors is the extensive views you can enjoy. These stunning doors have huge panes of glass, giving you almost unrestricted views of the outdoors. They can come in a variety of configurations to suit your home and your intended use, making them stylish and functional at the same time. 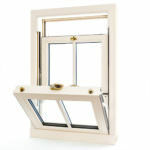 All of this is enhanced by the wonderful options you have to tailor your uPVC patio doors. You can blend these spectacular doors in with your existing double glazing, choosing from a range of colour finishes, woodgrain foils, or even the classic fresh white. Our uPVC patio doors come with a wide variety of hardware options too, so that every detail can be customised so that it is exactly how you want it. Our uPVC patio doors in Buckingham are designed to provide you with many years of pleasure and performance. The high grade products used in their manufacture, and the precision engineering, creates doors that are robust and durable. In addition to this, they require very little maintenance to keep them operating at optimum levels. Simply give them the occasional clean, ensuring there is no dirt trapped in the mechanisms, and that’s all there is to it. Our uPVC patio doors come with a superb 10 year manufacturer’s guarantee too, so you can have peace of mind that your new double glazed doors will be a long lasting investment. uPVC patio doors prices in Buckingham are fantastic when you come to Affordable Windows and Construction. We ensure that all our customers get the very best value for money from their home improvements, making our products a great investment. 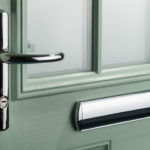 Get a personalised quote in an instant with our online door designer or contact our friendly team for expert advice and guidance. We are more than happy to help, and our uPVC patio doors quotes come with no obligation.